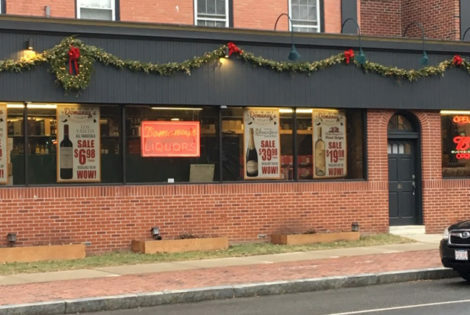 Guido’s Fresh Marketplace in Great Barrington has installed a water station for public use and has started selling inexpensive stainless steel bottles. Editor’s Note: This is an updated version of this story, with clarification about the enforcement and community education about the bylaw. 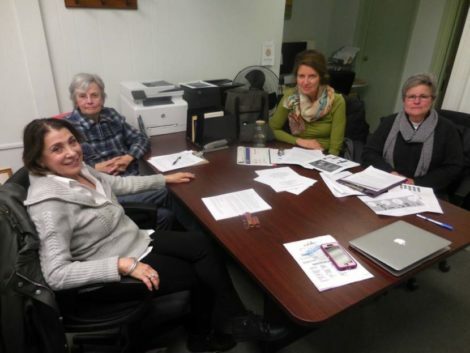 Great Barrington — We, the Environment Committee of the Berkshire Women’s Action Group, are a small volunteer committee fully committed to upholding the will of the people as expressed in two successive votes in favor of the bottle bylaw in Great Barrington. Our members are Jennifer Clark, Anni Crofut, Wendy Kleinman, Marcia Arland and Marj Wexler. We are working as hard as we can to lay the foundations for the smooth unfolding of the bylaw and our accompanying GB on TAP program. We want to do everything we can to support our Selectboard and the town to help them begin the enforcement of this bylaw as soon as possible. In this letter, we wish to update Great Barrington citizens and our Selectboard on our work. Our GB on TAP program will make clean tap drinking water readily available in Great Barrington and Housatonic. This program will have three areas of focus. 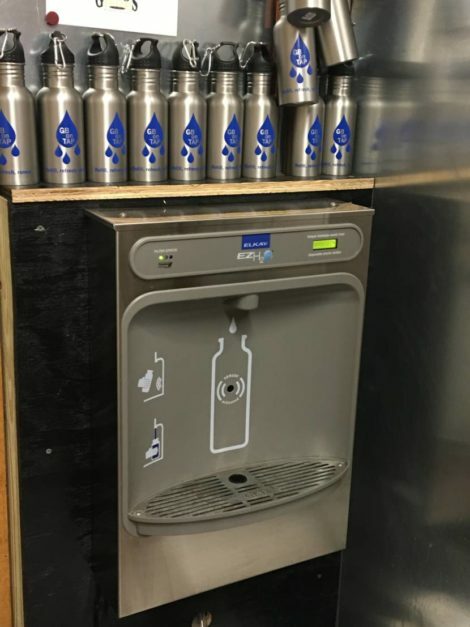 The first focus is the Merchant Program: many participating retailers and restaurants will offer pedestrians a readily available, free source of drinking water to fill their refillable bottles. Some merchants will provide water through fountains, others through bubblers, and still others will fill bottles at the tap. Each merchant will display a prominent GB on TAP decal on their window to alert pedestrians, and GB on TAP maps will be available online and throughout town to identify locations of all participating merchants. At present, an impressive 25 merchants have committed to participate in this collaborative community initiative, slated to launch within the month. We have designed and prepared the window decals and provided merchants with detailed options for water dispensing equipment ideas. We have also sourced a quality affordable stainless steel water bottle with an optional GB on TAP logo, which merchants can sell for a profit. Domaney’s Liquors and Fine Wines is one of 25 retailers supporting this bylaw. The second focus of GB on TAP will be the installation of state-of-the-art Water Refill Stations around Great Barrington and Housatonic. These stations have proven highly effective in providing drinking water to pedestrians in other towns such as Concord, Mass., and can be seen frequently in and around public buildings such as airports and schools. They are designed for three-season use — April to October — when foot traffic is highest. Over the winter months, people can rely on the GB on TAP merchants to refill their bottles. An example of a non-filtered, exterior water station by Elkay. These refill stations are extremely hygienic, as no skin or mouth contact is needed to refill your bottle. The units will be owned and maintained by the town. The town employees have been very supportive in planning for the installation of these stations. Funding for a second station is well underway. Here’s how you can donate, thanks to a successful Spoken Word Fundraiser held in November, and to the generous donations of many private citizens. We have raised nearly $6,000 for this second unit, which is slated for Housatonic. (See our fundraising brochure here. No tax dollars have been utilized to date. The issue in Housatonic is this. Because of the water quality issues in the hamlet, filtering is of great importance. There are technology limitations however, and exterior water stations are not made with reliable filter technology. So, in researching a unit that can filter properly, we have determined that the best solution is to attach a unit to the outside wall of a public building while housing the filtering apparatus inside the building for protection. Research and discussions are ongoing with the town about the best unit and its location. Housatonic Water Works has generously offered to cover the cost of the water provided to the public through the Housatonic Station. The third focus of GB on TAP is education. We will be working in conjunction with the town to educate the public through social media, articles, events, radio and TV interviews, flyers and posters. See this example of our on-air educational outreach from September, 2018. And to top it all off (pun intended! ), the Environment Committee now has a comprehensive GB on TAP website which covers everything from the bylaw to all aspects of GB on TAP, to how to DONATE, as well as many educational resources about the issues of plastic waste, domestically and globally. The bylaw has been in effect since January 1, 2019. Last Monday, the Selectboard announced that they wish to postpone the date of enforcement from May 1, 2019 until May 1, 2020. The Board wishes to see the stations in place, accompanied by more education of the general public and retailers. We understand this concern and over the spring and summer, we will work with the Town to install stations and create a better understanding of the bylaw throughout town. Once these things have been accomplished, enforcement can begin. To conclude, we are grateful for the groundswell of support we have received from citizens, merchants, restaurants, and the Great Barrington town government. This bylaw was voted into law twice. It is the will of the people, and, over time, it will prevent the waste of millions of plastic water bottles. I totally support reuseable bottles and getting rid of plastic. If our college students can do it at schools around the country our town should beable to pull this off. Good Luck!! The bylaw was not “voted into law twice”, phraseology used as another clever marketing trick. It was only voted on as a law once. 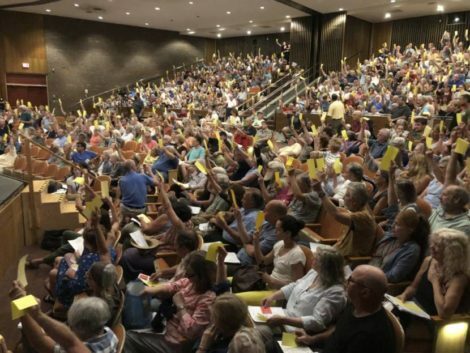 A repeal effort was voted down at a meeting which the Select Board felt was not important enough to advertise, yet still managed a 25% increase in attendance over the all important ATM (largely due to the organizing efforts of the BWAG who ran this like a political campaign – not against an opponent, but just a rag tag group of hundreds of concerned citizens who didn’t support the ban but didn’t realize the organization they were up against. Additionally, at the Special Town Meeting which was called for on the strength of 337 registered voters opinions, not all of the willing pariticipants were able to share because one citizen cut to the front of the orderly line and used the same parliamentary tactic which prevented another citizen (me) from sharing at the ATM. This bylaw has support of the community based upon many false premises, marketing tricks, and silencing opposition viewpoints at key moments. It has virtually ZERO environmental impact, has negative impact on the local economy, and allows a few people to falsely “feel good” while the true problem facing our trash and recycling industry: CONTAMINATION OF THE RECYCLING STREAM will continue unabated. Meanwhile, the TAXPAYERS of Great Barrington (whose property taxes continue to rise every year – especially with additional costs such as the maintenance of these “watering stations”) will have to pay for maintenance, filter changes, and the cost of the water supply and distribution as it is aggregated into their bills. I am not against the filling stations. I am against using taxpayer dollars while constraining free enterprise. There is no need to BAN anything. The model used in Santa Barbara, California is successful and appropriate for our community. The bylaw banning the sale of water should be repealed, and taxpayer dollars should not be used to fund the installation or ongoing maintenance of the watering stations. Hats off to the women on this committee and a grateful thank-you for the untold hours they have worked on this very worthwhile project. Our daughter goes to school in Concord, one of the towns in Massachusetts that has already adopted a similar program. We have seen first hand that a program like this works. Thanks to the committee for it’s hard work and we hope that the Town of Great Barrington will implement the will of the people sooner than later. More power to you, Marj, Wendy, Marcia, and Jennifer. It’s a beginning of building conciousness awareness among us all. Plastic has become so ever-present, it is easy to ignore the bad side. It is everywhere, and doesn’t go away. You have started what we hope is a large day to day acknowledgement of the horrors associated with plastic pollution. The plastics industry has to come up with some kind of formula which would allow for its destruction. Until then, our hats are off to you! I applaud these five women and the progress they’re making towards an important goal supported by so many merchants and voters. If we all donate even a little bit we can achieve the installation of the fountains, and it will inspire kids to see that we can implement positive change on a local level. How about a ban on Nip Bottle those mini liqour shots that litter the parking lots,sidewalks walking paths around town ,those are a major eyesore! JUST SAYING….. This issue has been brought to our governing body 2 times and 2 times the concept has been approved. This “ragtag” bunch of volunteers did a great job…some always are contrarians as they love to hear their own voice, The will of the people is the last sliver of democracy and it has spoken. Stop the WAAA WAAAS and get with it. Karen, there is no democracy in silencing opposition voices. There is much wrong with how the Town Meetings went. There is also the issue of falsehoods being perpetrated to convince the few voters who showed up to the meetings, and the fact that the STM was not advertised. Perhaps you might read my comment above again and use your some intelligence when responding – if you can muster any. I am so glad to see our town moving away from single-use disposable plastics, which are such a scourge to our environment. Little Great Barrington is leading the way, thanks to the hard work of our local environmentalists, and I hope many other towns and even states will follow! To clarify, the Selectboard did not postpone the bylaw while details are finalized. The bylaw is in effect as of Jan. 1. 2019 and merchants should be in compliance. The delay involved has to do with the date by which the town would ticket those not in compliance with the bylaw. Hopefully no ticket will ever need to be written as many merchants are already on board with the spirit of the bylaw. Thank you, Ellen, for this clarification. The last two paragraphs of the article have been corrected to reflect this important information. I admit to being against the elimination of single serving plastic water bottles. While I understand the necessity of getting rid of plastic for the sake of our environment, this gesture seems futile when one considers that the first target is a healthy alternative to soda and other sweet beverages. I commend the committee who worked on this for the efforts that they put in, but somehow their thinking seems a bit backward to me. Why not go for the plastic bottles that contain the more unhealthy beverages? Why water? It’s true that their are refillable containers, but are they truly healthy? I live in Housatonic and I have been purchasing bottled water since the 1980’s out of necessity. As far as the water dispensaries are concerned, the product available is still tap water. How can that be processed and acceptable to drink in Housatonic? I understand that one dispensary in Great Barrington has been paid for by a generous citizen. While the day May 1 has now been set (or reset from January 1), can other dispensaries be paid for without it affecting the tax levels? The article mentions another delay until 2020. This might give the citizens an opportunity to reconsider banning single serving plastic bottles of soda and other less healthy alternatives to water, and it might give the town the time to make certain that the dispensaries are up to par when it comes to cleanliness and safety. After viewing the film A Plastic Ocean, we, the members of the Environment Committee of the Berkshire Women’s Action Group, agreed that the most egregious of all single-use plastics was the plastic water bottle. We focused on single-serve plastic bottles as they are the most numerous of all PET plastic products. Also, in Great Barrington, we have excellent tap water, and we could offer this as a replacement for the water trucked in and sold in these little bottles. In Housatonic, filtering is the key, and we have devised a way of housing the filtration inside, while the bottle refill station is attached to the outside of the building. As far as the sale of water in small bottles, we did the research and found that filtering the existing water is much more economical. If you don’t care to do that, ordering it in 5 gallon jugs, or even purchasing 1 gallon jugs is a sounder approach than 1 liter bottles. Still, we encourage filtering apparatus at your sink. Some towns are about to target the sugary drinks, and it’s a long process but worthwhile. We will observe their progress, and learn from it. Yes, we are raising money privately, and the equipment is all being paid for and given to the town. 0% of plastic from Great Barrington ends up in what is commonly referred to as “The Pacific Garbage Patch”. As a side note, it is estimated that 50% of the “patch” is composed of plastic fishing nets which have been cut loose by commercial fishermen. From your past comments here on the Edge, I know you were unable to attend the Town Meetings and that health reasons are why you need to use the smaller bottles. It is easy for someone of financial means to throw out the suggestion that everyone should just buy a filtering apparatus for their sink (I assume they mean kitchen sink). Many of us who live pay check to pay check, or otherwise struggle to get by, don’t have the luxury of making filter purchases. Another in a long line of poor man taxes…but I digress. In all their study, this group concluded that tap water is safe and they decided that no one needs or should have bottled water in 1 liter packaging (they changed it to just plastic AFTER I repeatedly argued the point here on the Edge). They stated multiple times how safe the tap water is in Great Barrington, using it as one of several selling points for their ban. Then they found out about Housatonic (I guess the research never lead them to that section of town). So now there is a recognized need to filter the water at the “water filling station” that will likely, eventually, be installed somewhere in Housie. The good new is that is that it will provide FREE filtered water to all Housatonic residents (and anyone else whow wants to journey there). HWW is going to pay for the water, and the taxpayers of Great Barrington are going to pay for the maintenance and filter changes to keep the equipment in working order. This FREE water will only be available 9 months of the year, however, as the taxpayers will have to pay to have the filling stations drained and purged for the winter months. On the topic of the ban dates. While it is true that the bylaw took effect Jan 1, 2019, retailers can continue to sell the 1liter and smaller water bottles without fear of fines, or any other repercussions, INDEFINITELY at this point. At the Select Board Meeting in which enforcement of the bylaw was discussed, the Town Manager made the proposal to the SB that enforcement be delayed until May 1, 2020. Yes, 2020. However, the SB determined (by unanimous vote of those present) that the water filling station plan for Housatonic is incomplete and unacceptable in its current form. Therefore, the suggested dates were not implemented. The enforcement was put on INDEFINITE HOLD until such time that the BWAG provides an adequate plan for Housy. Once an acceptable plan is recognized, then a review of the dates suggested will be made…with the suggestion that the 2020 dates will be used (I imagine that is based on timely addressing of the Housy station issues). In summary, Retailers throughout town can continue to exercise Free Enterprise in regard to water bottles – indefinitely – without fear of being fined by the Town!